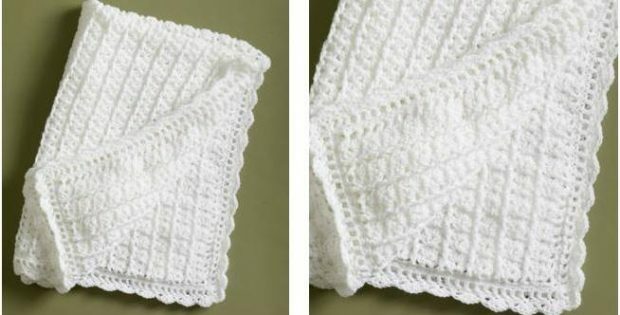 Make this simple crocheted lace coverlet your next project. It makes for an exquisite present for family and friends. People with intermediate to advanced crochet skills will definitely have fun making this wonderful crochet item. Once completed, the crocheted lace coverlet should measure approximately 34 inches by 40 inches. In metric units, the finished crochet piece should be about 86.5 cm by 101.5 cm in size. This crochet article is another lovely design by the talented team over at Lion Brand Yarn. In fact, you can access the FREE downloadable pattern for this classic crocheted piece. You will need to be signed into the Lion Brand Yarn website to download this crochet pattern. It is completely FREE to sign up with the website.